The words Merry Christmas are found near an ice frozen lake in this time lapse shot set in a snowy mountain environment. Enhance your video show with this video loop, woo your audience by using this video. 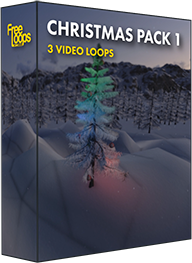 This video loop is part of Christmas Pack 1.